This year, the board received several nominations for the award, and in the belief that more positivity is always a powerful and wonderful thing, we chose to honor two recipients with the Ethics in Action Award: Lisa Bunker and Herb Moyer. Or come to Dinner Church on Wednesday, November 28 from 6-7pm and stay from 7:00 to 8:30 pm for some more wreath making in preparation for the … read more. The committee has continued to meet this fall every other Tuesday, and there have been two updates given to the congregation after services on two separate Sundays including this past Sunday November 11. … read more. The capital campaign is complete, and plans are moving forward for renovating our space. We have raised more than $100,000 above our target campaign goal and expect to have enough money received to start construction in the spring of 2019. Members … read more. 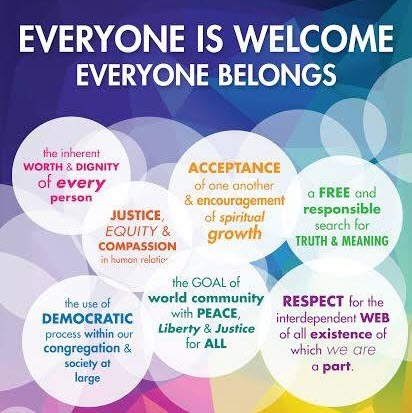 Each year our congregation recognizes a member who is living our ethics out in the greater community. These are people who guide us, inspire us, and invite us along to participate more in public life. Recipients of this award from over the years are displayed … read more. 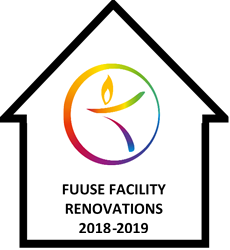 FUUSE has launched an upgrade to our web site. We hope you like it! 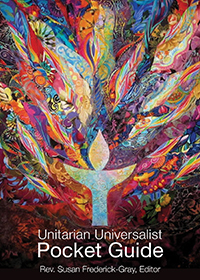 We are now using a “look and feel” which was developed by the Outreach Team at the UUA. Please check it out, and look around at the new menu structure … read more. Religious Education activities at FUUSE are available for children of all ages. Click this link to register so that we can plan for you, and can get in touch with you! What is next for you?? Several groups based … read more.